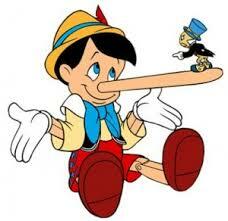 Lying is something we all do from time to time for many different reasons, some good, some bad. The deliberate attempt to deceive and the white lie to protect all show up on our faces as fleeting micro-expressions and this is why we sometimes get a gut feeling that someone is not telling us the truth. Aaron Garner, Director of The Emotional Intelligence Academy, talks to me about how we can use our emotional intelligence skills to decode our gut instinct and learn how to react to different levels of deception. Aaron Garner is a Certified FACS Coder, trained to spot even the smallest and most subtle of movements in the human face. Aaron is an Approved Trainer for Paul Ekman International (PEI)* and works all over the world with police and customs officials and others who need to learn to trust their instincts and also with marketing companies that want to analyse subtle reactions to products. Paul Ekman is an American psychologist who has been a pioneer in the study of emotions and their relation to facial expressions. He has been considered one of the 100 most eminent psychologists of the twentieth century. When we try to hide these emotions our faces make micro expressions that reveal tiny amounts of information. It’s very difficult to stop them from making a fleeting appearance and that is when these small discrepancies between someone’s words and their expression can cause us to have a “feeling” that something is not quite right. Micro expressions last only 1/25th of a second which is faster than an eye-blink. Most of us don’t pick up micro expressions consciously but when we understand that they are there it helps us to identify the feelings we get. The ability to detect a lie and the ability to lie successfully are completely unrelated and, fortunately for liars, as many as 99% of people fail to spot the fleeting signals without training. An actor, poker player or magician isn’t a liar. They’re supposed to be deceiving us. If someone is trying to hide the way they are really feeling there is probably a good reason for this and in ordinary social situations its best not to try and probe. Some people lie for the best of reasons, like trying to protect a loved from from bad news. In a more official or work related situation it may be appropriate to check out what you ‘think’ you are seeing, as in “I’m getting the sense that maybe you are a bit surprised” and this may lead to a conversation that will clear things up. It is definitely not a good idea to try to tell people that you know how they feel and attempt to rummage around in their emotions without being invited! Did this post make you feel more likely to trust your ‘intuition’ when dealing with people? If you have a story to tell, we’d love to hear it so leave us a comment below! Ann Hawkins is a business growth specialist who will help you to make more profit, keep you accountable for your success and introduce you to a support network of your peers. Email Ann with your business problems for free advice.